We’re back! It’s been a while since our last issue. Over the last few months we have been working on some minor changes, from our editorial ethos to the mag’s layout. 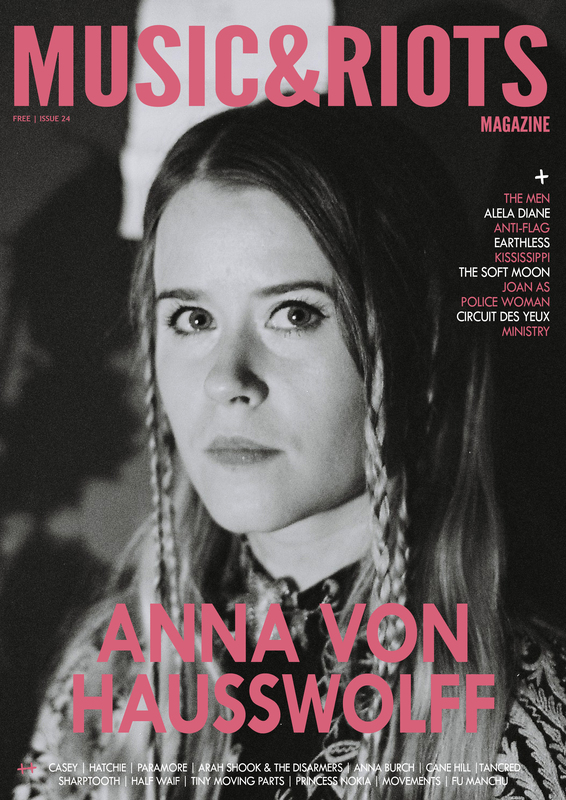 So, with that in mind, it’s easy to understand that we’ve maintained our 3 cover story scheme, and let’s say that having the living legends Ministry, along with the amazing Anna Von Hausswolff and newcomer Kississippi is something else. 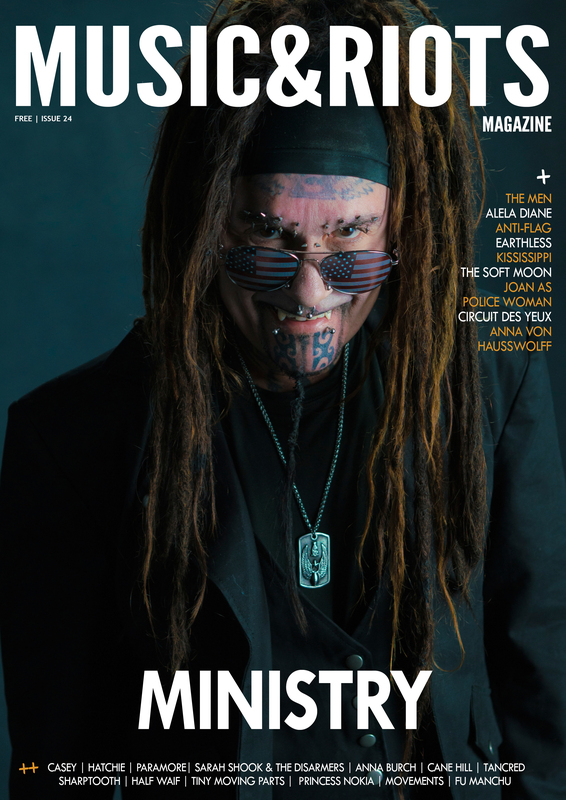 This new issue is cleaner and brighter, the interviews and review section are dense but feel young and energetic, focused on what we find that is exciting nowadays in music. It’s also a weird blend of styles and the first one where we are playing a bit more with the endless possibilities of this digital era, with full interactivity in several parts of the new issue. 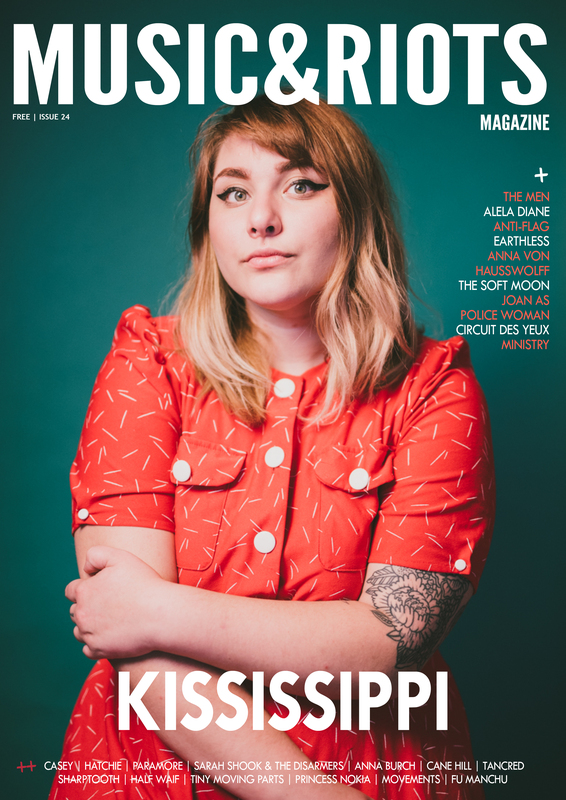 Along with our amazing 3 cover stories, having the pleasure to feature Earthless, Fu Manchu, Sharptooth, Tiny Moving Parts, The Soft Moon, The Men, Alela Diane, Anti-Flag, Tancred, Circuit Des Yeux, Joan As Police Woman and many more on this new issue is something that we’re all very proud of. This is for sure a re-launching of a young and new project, and we can’t be more excited for what will come next, starting with our Issue 25 (already on the making) that will arrive to you in late September. Download the new issue here (available soon).